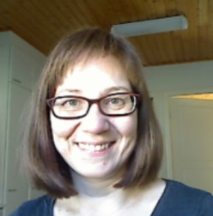 Johanna Salmia is a Development Manager at the HAMK University of Applied Sciences. She is also a Project Manager for MobiLearn (eq. Mobiilisti) project. She is the key organiser of the MobileSummer School. Johanna Salmia is a mobile professional with a long background in the mobile industry. She has been working for Nokia for 17 years gaining experience in leadership, people management, HR related issues, project management and process development. mLearning like also using mobile devices and applications in learning and education in an authentic environment are relevant in her current work. In addition her specialties are mobile devices and social media, open learning environment, working in virtual environment, UI design and landscape design. Johanna Salmia is a project manager for mLearning project MobiLearn. In MobiLearn project the aim is to develop mobile learning models, modules and study processes and integrate them to the studies at the university and upper secondary level. At the MobileSummer school the learning situations and guidance happen without traditional educational technology. MobileSummer school combines experiencing practical training, creating and producing together, mobile equipment and the natural environment. The 5th MobileSummer school was organized 21.-22.5.2014 at HAMK Mustiala Unit.